This unique book celebrates and documents the incredible and colorful biodiversity of the mountain landscapes of eastern North America, covering all of the major alpine ecosystems in New England, New York, Québec, Newfoundland, and Labrador. 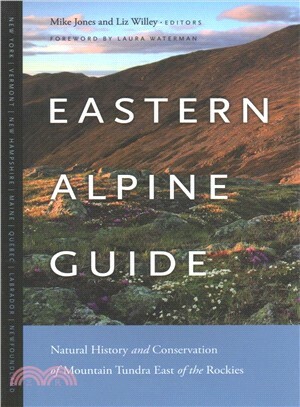 Twenty scientists, explorers, naturalists, and land managers from the United States and Canada have collaborated to create this definitive and beautiful account of the flora and fauna of the eastern alpine tundra. MIKE JONES, currently the Massachusetts state herpetologist, has studied rare plants and animals in Quebec, New England, and beyond. LIZ WILLEY has worked in the mountains of New England for the Appalachian Mountain Club, the U.S. Geological Survey, and Mount Washington Observatory.